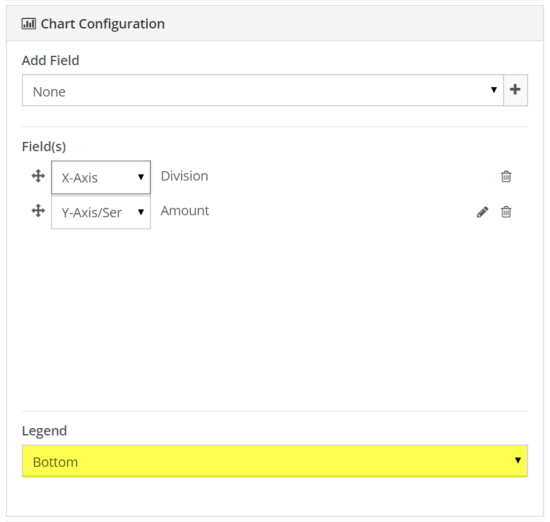 Flexible locations allow you more control on how your chart looks. Moving the legend to suit your needs and help create a great looking chart for your data. 1. Legend drop down allows you to choose from Bottom, Left. and Right. Next: Scheduled jobs now start date to midnight.